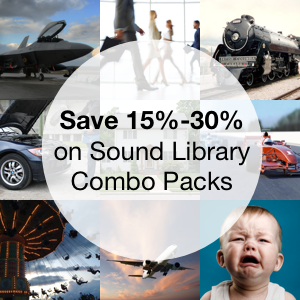 Are you wondering if the Airborne sound libraries can be used in your project? Unsure if your sound effects use is allowed? Here is a quick reference sheet that answers the most popular questions. It has guidelines for how to use our sound libraries. Airborne Sound clip use guidelines. Understand how to use sound fx bought here on this site. How you can use the sound fx. How you cannot use the sound fx. General sound clip copyright questions and answers. Do you have a question about copyright or using sound clips that isn't answered here? Email us and we will help you. Use the sound as many times as you want. Store a copy on your computer hard drive. Use the sound effects within a project. The sounds must be mixed with other media (e.g., video, audio, presentations). Use the sound in timed synchronization in television, films, commercials, ads, radio, and multimedia. 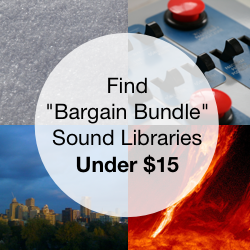 Use the sounds in as many projects as you want for the one single price you paid. No further fees are required. Make one copy (only) for a backup. Use the sounds without referencing the creator in any way (i.e., Airborne Sound). Use the sounds within a project, and then sell that project (i.e., a sound edit, a presentation, a game). Using the sound effect combined with other audio or video in a television or film soundtrack. Using the sound clip as an on-screen effect when a monster roars, a door opens, etc. Playing a sound when a user selects a menu item on a website. Additionally, the sound must be coded so it cannot be downloaded from the website. Using a sound in audiobooks, as long as they are merged with dialogue or music. A sound effect cannot be played on its own. Using a clip a song, as long as it is blended with other instruments. Using the sound in a radio show. Like audiobooks and songs, it must also be blended with other audio. Use the sound effects in video games, as long as the clips are embedded in the code, and can’t be separated from it. Give the sound effects to someone else, even for free. Re-sell the sound effects on a website or a DVD or CD. Modify the sounds with the purpose of claiming ownership of them, or selling them. Use the sounds only on their own. Transfer your license to anyone else. Using a sound as a ring tone, either on its own or mixed with other audio. Using a sound as a ring back, either on its own or mixed with other audio. Using the sound in a toy, either on its own or mixed with other audio. Broadcasting the sound by itself. Allowing people to download the sounds from an app or software. Storing the sounds openly in a folder with software. How can you use Airborne Sound clips in projects? Can I use the sounds in a video game? Yes. They must be integrated with the code, and unable to be removed from the game. Can I use the sounds in an iOS app? Yes. They must be integrated with the code, and unable to be removed from the app. Can I use the sounds on my website? Yes. They must be combined with something, such as a video or a website button. People must not be able to download the sounds from the website. Can I use the sounds in a film, television episode, or commercial? Yes, absolutely! The sounds are combined with the video or audio in these projects. You can use the sounds as many times as you like this way. Can I use the sounds as “building blocks” in an app? For example, allow the user to use them as single “notes” to create a composition or “song” within the app, then share it? No. The sounds must always be combined with video or audio, so using them as “building blocks” or “notes” is not allowed. Can I mix a clip with other sounds and sell it as a ring tone? No. Airborne Sound clips cannot be used as ring tones or ring backs in any way. Can I change the sounds (e.g., pitch, edit, reverse), then re-sell them or share them? No. The sounds cannot be shared on their own, even if they are changed. Can I broadcast the sounds on a public address system? The sounds cannot be broadcast this way on their own. They must be combined with other audio, such as part of a song, or a presentation. Can I use your free sound effects for a commercial project? Yes, certainly, as long as they use in combination with other media (e.g., sound, video) and cannot be separated from the media. Do you have questions? Email us and we will help you. Below are some general questions and answers about using sound effects. Once I pay for the sounds, do I own them? When you pay for the sounds (thank you! ), you own a license (not the sound effects themselves). This license allows you to use it but not own it, per se. Can I take sounds from a movie, video game, or presentation and use them in my project? Examples: sounds from a YouTube movie, a VHS cassette, or Hollywood movie. No. Those sounds were created by someone else. They own them, and only they are allowed to use them. You need to get permission from them to use the sounds. I am using sounds I took from a video game or a movie. They are hidden behind or mixed with other audio. Can I use sounds this way? No. It doesn’t matter if they are hidden behind other sounds, mixed with other audio, or changed (e.g., pitching). Since they are owned by someone else, they cannot be used in any way. You need to purchase a license to be able to use them. I am using sounds I found, but only once or twice in a big project. Is it okay to use the sounds like this? No. It doesn't matter how many times you use them, once or a hundred times. If the sounds were created or are owned by someone else, you cannot use them without permission, even a little bit. I am using sounds I took from a video game or a movie. They will be used in a non-profit movie, or a private film, or a low-budget documentary. Is this okay? No. They type of project doesn’t matter. The sounds cannot be used in any type of project without permission from the owner. I found some sounds on the Internet. There isn’t anything that says they are copyrighted, or that I need a license. Can I use them? No. All sounds are copyrighted by default. If there is no licensing or copyright information explicitly stated, you must assume the clip has full copyright, or is "All Rights Reserved", and cannot be used at all. The default for any created work is that it is protected and cannot be used by others. Only when permission is specifically granted are you allowed to use it. A friend of mine or my school own a sound library. Can I use them? No. Only your friend has permission to use them. If your school owns a sound fx library, they sounds may only be used in school-related projects. If I change a sound a lot (pitching, chopping, reverb, etc. ), do I own the new sound? How much do I have to change the sound to be able to own it as a “derivitive work?” No amount of modification allows transfer of ownership. Derivative works must be modified substantially so that they are unrecognizable, and they must also provide a substantial benefit to the public. In this case you’re better off recording a new sound. I found sounds that are labelled as “public domain.” Can I use them? Yes. 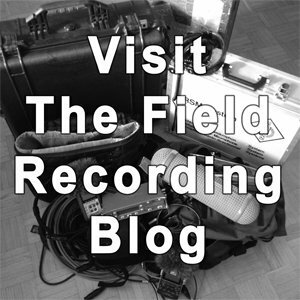 Sound effects in the public domain can be used without restriction. I want to use part of a pop song in my project. Can I do this? No. The artist and publisher own the rights to the song and only they can can use it. How can I license a pop song so I can use it in my project? How much will this cost? Contact the publisher of the song. In America, this will be BMI or ASCAP. In Canada, it will be SOCAN. You can find the publisher in the liner notes of the song. Write to the publisher, explain your needs, and they will send you a quote.